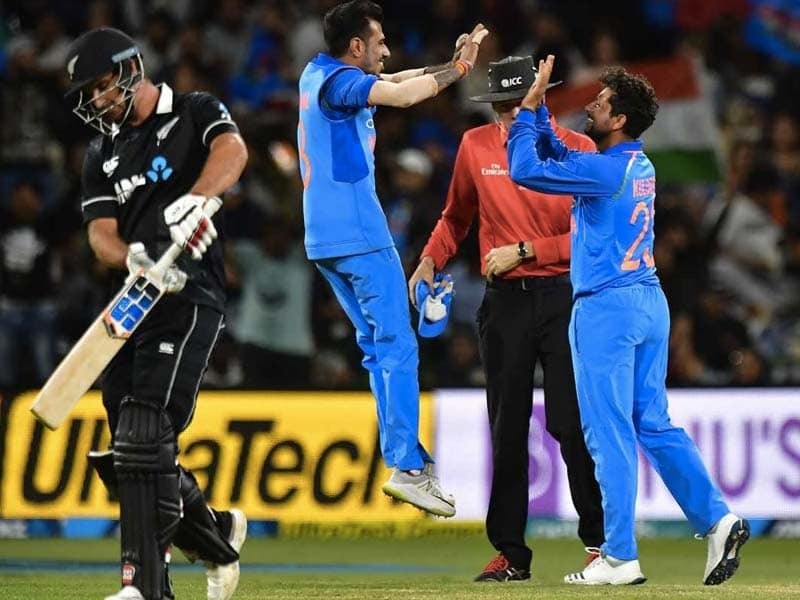 India notched up a comfortable 35-run victory over New Zealand in the fifth and final ODI to secure the five-match series 4-1 at the Westpac Stadium on Sunday. Spinner Yuzvendra Chahal claimed three wickets as India bundled out New Zealand for 217 in 44.1 overs. James Neesham top-scored for the hosts with 44 runs off 32 balls. Earlier, Ambati Rayudu anchored Indian innings after early blows to help the visitors post 252, after opting to bat, in Wellington. India had won the three consecutive ODIs in Napier and Mount Maunganui, while New Zealand registered a consolation win in the fourth ODI in Hamilton. New Zealand: 217 all out in 44.1 overs (James Neesham 44; Yuzvendra Chahal 3/41).